At radionicsbox.com we LOVE the JU 1000. “The JU 1000 is the best starter unit for power, flexibility and results” – Mike Devino, product specialist. 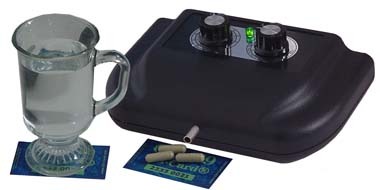 We believe it is a great way to get started with orgone radionics and radionics software. The beauty is that you can start with a JU 1000 and if you need more power later you can just add another device and run them together, which multiplies the output power. Many beginners start with the JU 1000 and later upgrade to a unit like the RAD 2400 HD. The are pleased to find out that they can use the devices together by placing the JU 1000 on or very near the rad 2400 HD. The secret is to ten the devices at different frequencies that way the frequencies bleed over into the other device and they work together like a giant dual frequency generator! The JU 1000 is perfect match with our radionics software programs. 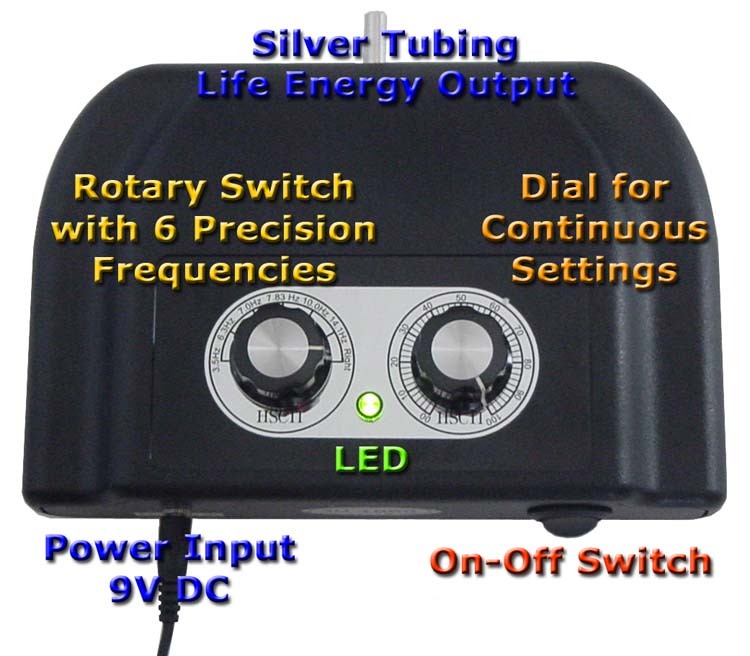 Basic Low Pulse Chi Generator ® with six pre-set brainwave frequencies (see dials below), 70% stronger than the JU 99, with a lot more flexibility. You can regard the JU 1000 as a combination of six JU in one, and in addition to this, you have a dial for continuous settings. The JU 1000 CHI GENERATOR provides life energy for your body and for your mind — Above all, you can put yourself into any brain wave state by selecting a specific pulse frequency of your life energy generator. For you to appreciate the special advantages of the Chi Generator ® with precise low frequency options (the JU 99 CE series, the LPOG 2400 DL, the LPOG 2400 HD and the Performer 2400 and, of course, the PCHD 2400 which is driven by the frequency output of your PC or of a CD player), it certainly is good to know about low frequency technology. In fact, the most important method of effective self-improvement prior to my invention of the chi generator of life energy in 1991 resulted from new knowledge of the working of the human brain. With the help of the EEG technology, which measures brain wave frequencies, it has been well established that every thought, every feeling, every sensation, and every level of awareness has a corresponding brain wave pattern, or frequency. Consequently, you can determine the level of awareness that you want to harness for your success by controlling your brain waves. We know of Alpha, Beta, Theta, and Delta brain waves, all in the low frequency range from approximately 1 Hz to 30 Hz (cycles per second). Gamma frequencies are above 30 Hz. This method of controlling brain waves with low frequency input certainly is not a new technology at all! In the 1930’s already researchers found that repetitive light and/or sound stimulation caused brain waves to adjust to the same frequency. Much earlier than that, as far back in time as the very dawn of humankind, shamans used drumming, which is a way to generate repetitive pulses, or beats, of low frequency, to put their audiences into altered states and cause them to have experiences that they would not have in their normal state of daily activities. In our times, this type of pulse, or “beat” is used in many events where the capturing of audiences and the temporary control of their habits (or minds) is considered to be important or helpful, such as in fashion shows, exercise machine advertising, commercials, military training, church meetings, and TV infomercial pitches to the public, to name just a few. You can find a variety of fairly good Light-Sound (LS) devices on the market today. A LS-device typically stimulates the brain indirectly with light flashes through goggles and sound stimuli (beats) through earphones. These stimuli will cause the brain to adjust to the frequency of the flashes and sounds and consequently generate the corresponding level of awareness. As you can find out right from the beginning of using such a device, all LS-devices have a very serious flaw: they depend on earphones and goggles to be effective. In other words: if you want to access a specific level of awareness such as charismatic appearance, calm, or creativity, you need to get the stimuli through earphones and goggles when using this meanwhile antiquated technology. It is obvious that you cannot wear these LS-devices whenever you really need them! Just imagine appearing on a date, an important business meeting, or a sports event with a LS-contraption on your head! And you certainly may have difficulties trying to do creative writing or art while using a LS-device on your head. You need to wait till you can take it off your head, and then your brain waves will adjust back to their usual state. That’s exactly where your JU 1000 Chi generator ® can make a difference – and a very big difference at that !!! By now it is well-established that the technology of the life energy generator a.k.a. 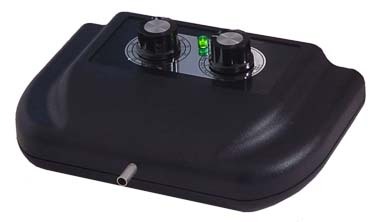 chi generator is far superior over all conventional type light-sound mind machines. The reasons are obvious: you can set up your Chi Generator ® to emit low pulse life energy in the exact frequency of brain waves of your choice: Alpha, Beta, Theta, or Delta. When you are surrounded by a field of LPO (Low Pulse life energy, or Orgone), then your brain can adjust to its frequency almost instantly. This is so, because the detour over sensory perceptions or questionable electric mini-shocks (as in a couple of more recent devices) is no longer necessary. Life energy in brain wave frequencies means a more effective impact and therefore faster results. This means that you can achieve the corresponding states of mind very fast !!! The most striking advantage of our LPO technology over conventional type mind machines is the fact that you can project LPO (life energy of low frequency) at any distance! This has been proven with the help of EEG devices over and over again. Simply use a structural link such as the transfer disk of the chi generator or any one of the specialty power boosters, put it into your pocket, set your generator of life energy at the desired pulse speed, and go then to a business meeting, on a date, to the gym, to a sports competition, or anywhere else. Nobody will notice your invisible helper – the Welz Chi Generator! That’s all! You certainly can relax or go about your usual business at any place. There is certainly no need for you to have those cumbersome and ridiculous goggles, earphones, or other contraptions, on your head ever again! Silver is a favorite of all professionals when it comes to a chi generator energizing the body.